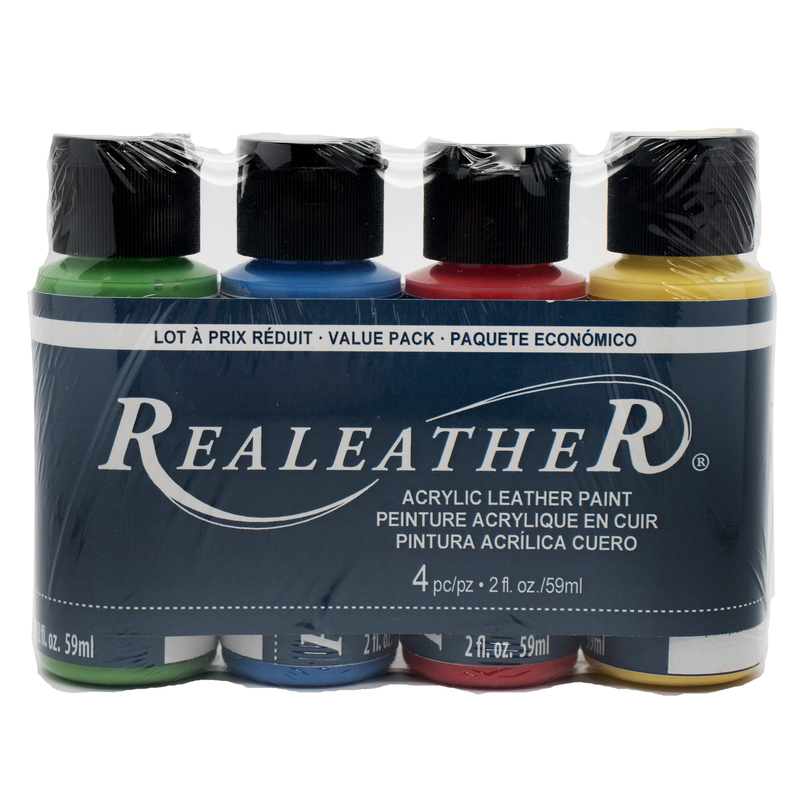 Flexible, non-cracking, non-peeling, intermixable acrylic paint for leather. Ideal for accenting or full coverage. Can be used on a variety of leathers. Waterproof once fully dry. Test on a small area before use. Includes 4 Primary colors: red, blue, yellow, green.